This volume examines the relationship between law and sacrifice as a crucial nexus for theorizing the dynamics of creation, destruction, transcendence, and violence within the philosophical and legal discourse of western society. At a time of populist political unrest, what philosophical and theoretical resources are available for conceptualizing the discontent that seems to emanate from practically every sphere of society? What narrative strategies have been employed within literary, theological, philosophical, and legal discourse to tame or mystify human violence? 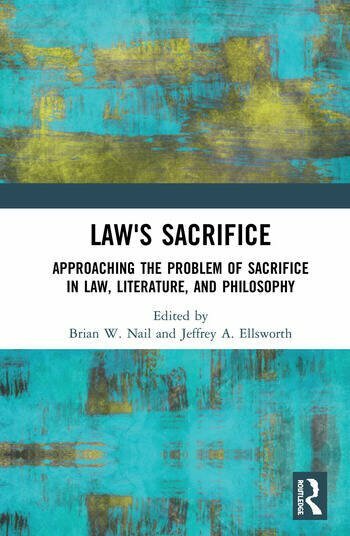 Engaging with the work of preeminent theorists of sacrifice, such as Georges Bataille, René Girard, Giorgio Agamben, and Jacques Derrida this collection examines from an interdisciplinary perspective the sacrificial logic that characterizes the cultural and political dynamics of law in society. The book will be of interest to students and scholars in the field of legal theory and philosophy.